We would like to invite all residents of Stone, Taney, Christian, Greene, Webster, Douglas, Ozark, Barry counties in Missouri and Carroll, Boone, Marion and Baxter counties in Arkansas (with valid id) to our Area Appreciation shows on Thursday, Friday and Saturday, September 27th, 28th and 29th at 11 am. $12.50 INCLUDES LUNCH: Carolina Pulled Pork, BBQ Chicken, Corn on the Cob, Southern Style Baked Beans, Sweet Corn Muffin, Strawberry Short Cake and a bottle of water (from Table Rock Lake)!! 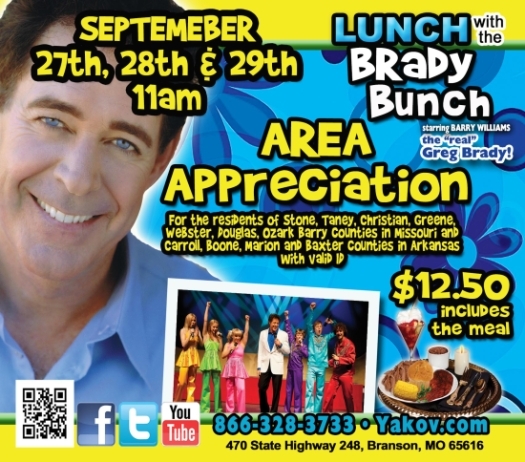 The show is hosted by Barry Williams, the real GREG BRADY and features the NEW Brady Bunch kids. Six young performers that look very much like the original Brady kids, will sing and dance their way into your heart with popular Brady songs and show tunes from the 70’s. Call for reservations 866-328-3733. Only at the Yakov Theatre in Branson. 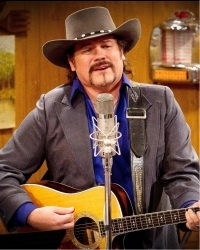 The Starlite Theatre in Branson, in partnership with Larry Black of “Larry’s Country Diner” and “Country’s Family Reunion” (as seen on RFD-TV) proudly announce an extension of the hit concert series “Stars of Larry’s Country Diner and Country’s Family Reunion” with the addition of two new Christmas shows: “The Bellamy Brothers Tropical Christmas” and “Joey and Rory’s Farmhouse Christmas.” These performances will run from December 12 to December 23 at The Starlite Theatre. Joey and Rory took third place in CMT’s “Duets competition and were immediately signed to Sugar Hill/Vanguard records. Their 2008 debut “The Life of the Song” featured the hit single “Cheater Cheater.” They followed up ion 2010 with “Album Number Two” and “His and Hers” was released in July of this year. The duo hosts a weekly variety show on RFD-TV, “The Joey+Rory Show” filmed entirely on their Pottsville, Tennessee farm and community including their family-owned café Marcy Jo’s Mealhouse. “Joey and Rory’s A Farmhouse Christmas” was filmed on a set built in their barn and was a featured holiday show on RFD-TV last year. The show was so popular a DVD was released and a Christmas tour followed. 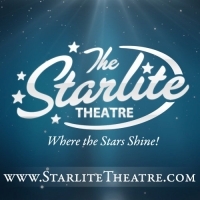 Joey and Rory will re-create “A Farmhouse Christmas” for Starlite Theatre audiences this December. Tickets are on sale now and available at www.starlitetheatre.com or by phoning the box office at 866-991-8445. The Center for Workforce Development and the Community Enrichment Center at Ozarks Technical Community College offer a variety of in-demand training programs and online courses designed to provide you with new skills or enhance existing ones. Register today or contact us to learn how many of these programs can be customized to better fit your organization’s individual needs. Update: Since returning from Jefferson City a lot has happened. The congressional community for the department of Agriculture for the State of Missouri has signed on the act ( http://dl.dropbox.com/u/96341147/MissourI%20General%20Assembly%20Joint%20Committee%20on%20Urban%20Agriculture%20Report.pdf ) and all of them are supportive of our plan and plan to present it to the Governor next week. I started a LinkedIn account and started networking. I have had two angel investors contact me and one investment firm. All have made requests for our business plan. It has now become a first come first serve play. One is from the windy city, one from the big apple and the other is from Jersey. I have made hundreds of contacts with people of power from the White house down. Our supports are Presidents, Candidates, Representatives, Senators, Governors, Dept. of Economics, The USDA, farmers, business owners, entertainers, and moms and dads. No one has stepped up to the plate yet. There is 40% of this up for grabs for 36 million Buy, Grant, or Loan, or a combination of all three. No one has been able to find a reason not to build this. Branson Aquaponic Gardens and Educational Center will change the world for the better in time. Put people back to work growing the one thing everyone buys. “FOOD”. Lower greenhouse gases, and provide clean energy resources’ and aquaponic supplies. Most of all give people a place to get the most valuable necessity for survival, “KNOWLEDGE”. Do you remember the old saying “Give a man a fish you feed him for a day, teach a man to fish you feed him for a life time”? The best part of this whole thing when you’re asking someone to put up 36 million is location, location. Branson is #5 in family destinations visitors. 8 million avg. per year. At the height of the season we can expect to see 20,000 people a day, from June to December. Each spends $10.00 on a tour, buys a book or a box of seeds for 20.00 more avg. $30.00 per person. You do the math it is more shocking that way. Then add a class of 20 people 5 times a day for $50.00 more, plus books. That is a $100.00 dollar investment in their family’s health and well being. After taking the class they will need supplies to get growing, canning or cooking. Where is the best place to do that BAGS (Branson Aquaponic Garden School) buy it and have it drop shipped to their door, after they return home. I have not added in the produce or sea food yet. I had one local Chef tell me he uses 500 tilapia fillies a week at the height of season. How many tomatoes do you think a subway uses a day? We got nine of them. Salad bars, Branson is full of them. Folks can just come to the BAGS market and pick it up fresh every day. Missouri also has a jobs Grant for every job created and we plan to put 400 people to work. Handicap workers welcome, we dearly love our vets. LOCATION! LOCATION! We have that and a world redound team of experts to make it happen. First come first served. 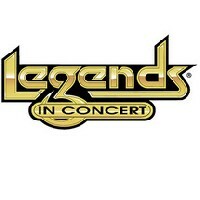 Celebrated tribute artist production, “Legends in Concert”, gave back to the Branson community this month. Following the impact of the Leap Day Tornado, Legends in Concert faced a challenging six weeks of renovations and rebuilding. The theater was thankful to be able to reopen so quickly but was even more thankful for the support of the Branson community throughout that very difficult time. Many individuals and business are still facing challenges as a result of the tornado, and thus Legends in Concert has donated $2000 to The Community Foundation of Taney County, specifically for the Branson Area Tornado Relief & Recovery Fund. This fund will provide support to Taney County non-profits and municipalities for the economic and human services assistance needed following the February 29th tornado. School of the Ozarks volleyball team will play its first home game against Blue Eye on Thursday, September 27, 2012, at 5 p.m. in the Howell W. Keeter Gymnasium on the College of the Ozarks campus. In addition to volleyball, School of the Ozarks students compete in track and field, cross country and basketball. The first home game for junior varsity boys and girls basketball is December 6, 2012, at 7:30 p.m. The varsity boys basketball team plays on December 18, 2012, at 6 p.m. and the varsity girls play on January 7, 2012, at 6 p.m. Schedules for track and field and cross country are still pending. School of the Ozarks, a college preparatory lab school for grades 9-12, provides a unique education by interweaving a biblical worldview, character education and patriotism into rigorous academic curriculum grounded in the Great Books. The School also mirrors College of the Ozarks in that students are not charged tuition, but instead are asked to invest a little sweet equity into their education. Home games are free of charge. Community members may attend all S of O games. Schedules are available online at www.cofo.edu. Branson, MO – September 18, 2012 – The Legacy Youth Institute, a new leadership and mentoring program for high school juniors, will begin this Saturday, September 22 at Shepherd of the Hills. Thirty students from eight Taney and Stone County high schools, as well as students from the home school community, will join together to participate in this six-session program designed to equip young leaders to “shape the culture” of Ozark Mountain Country. 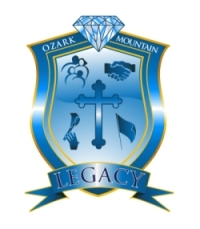 The Legacy Youth Institute was born out of a passion to create a tangible, intentional opportunity for today’s community leaders to pass on our “Ozark Mountain Spirit”— a deep respect for Family, Faith, Friends, Flag, and ensuring a preferred Future—to the next generation. Community leaders and organizations will partner with the Legacy Youth Institute in each session to provide a mentoring experience for student participants. Saturday’s Kick-off Retreat for the Legacy Youth Institute will allow students from all across the area to get to know each other, learn important leadership skills, and hear about the area’s heritage and core value of Faith. Legacy Youth Institute sessions on Family, Friends, Flag, and Future are scheduled monthly, and the program will culminate in March with a Graduation Banquet. For more information about the Legacy Youth Institute, please contact Ozark Mountain Legacy at (417) 598-1314, or visit www.ozarkmountainlegacy.org. Renowned apologist Dr. J.P. Moreland will present “Loving God with the Mind” at College of the Ozarks on Monday and Tuesday, September 24 and 25, at 7 p.m., in the Jones Auditorium. Featuring highlights of Moreland’s recently published book, The Kingdom Triangle, Moreland will discuss the purpose for life and how to fulfill those purposes in a Christ-honoring way. Currently, Moreland serves as a Professor of Philosophy at Talbot School of Theology, Biola University in La Mirada, California. He has spoken and debated on over 175 college campuses around the country. 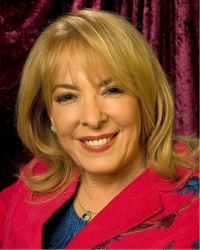 Moreland has earned four degrees, authored and co-authored 30 books, co-planted three churches, served with Campus Crusade for Christ and worked as a bioethicist for PersonalCare Nursing Homes. The “Loving God with the Mind” presentation is free and open to the public. C of O students will receive priority seating; remaining seats are available to the public on a first-come, first-serve basis. For questions or more information, contact Christian Ministries at (417) 690-3446.